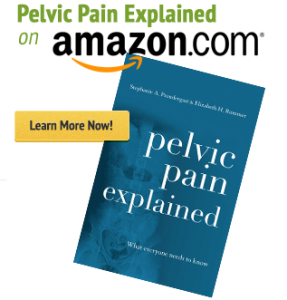 On January 16, 2016, Pelvic Pain Explained arrived on our doorsteps! Liz and I know how hard it can be for patients to navigate effective treatment for pelvic floor disorders. The entire PHRC team fights on behalf of our patients everyday. 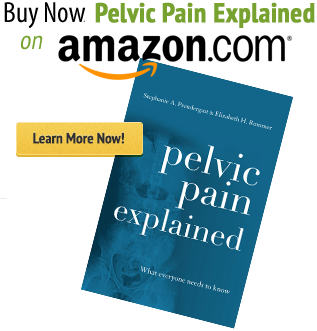 We are physical therapists, not writers, but with the right help we were excited to publish what we know about pelvic pain and how to get rid of it. In February of 2016, PHRC expanded from Waltham into a larger office in Lexington, MA. PHRC welcomed administrative assistant Erika Toronto and physical therapists Melissa Hines and Shannon Pacella to the team. Back in California, PHRC welcomed administrative assistants Aeryn Merced and Desiree Torres to San Francisco, physical therapists Ciel Yogis and Nicole Davis to the Bay Area, and Jandra Mueller and Katie Hunter (as of last week!) to Los Angeles. BestMemes2016final (Converted) from Pelvic Health on Vimeo. We are truly blessed with a supportive, talented team which grew our company by much more than just numbers in 2016. We found our resident “Martha Stewart’ with graphic design talent in Erika Toronto who makes our memes, Rachel Gelman continues to make us laugh with her pelvic humor on the memes and in our blogs, Kristen Leli puts our reluctant faces and the cute fur babies of PHRC on Instagram, while Fiona Carlone organizes our blogs, podcasts, and media publications on Pinterest! Malinda Wright, Rachel Gelman, Melissa Hines, Melinda Fontaine and Allison Romero were pivotal in training our new employees, while Britt Van Hees taught us all a thing or two (or five about the coccyx! Read her post here). Breann Petree remains an unsung hero on the administrative front in the Bay Area while Brittany Abajelo keeps our grammar in tact for each and every blog post. Speaking of the blog…. Please visit our Pinterest page to see all of our posts, organized by category (wink, wink). 2016 was a big year for postpartum pelvic health care, or lack there of, in the media. Stephanie and Liz talked to Cosmo magazine and the amount of shares, comments, and reads surprised everyone. Stephanie also talked to Fox Health News, NPR, and Mother Jones. 2016 PHRC Anniversary Blog from Pelvic Health on Vimeo. And finally, PHRC turned 10 this year! While it is a major milestone, it truly seems small compared to the balance and inspiration our entire crew brings to to table. As we close 2016, the entire crew at PHRC is ready to work hard for our patients and colleagues in 2017 and we wish everyone a healthy, prosperous New Year!